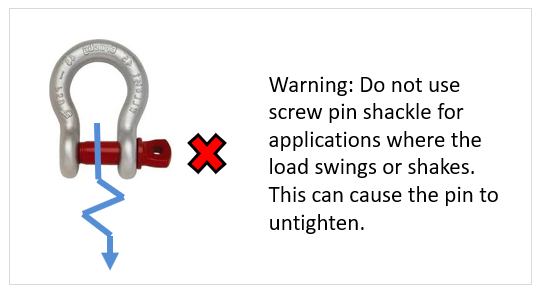 WARNING: Can be used in applications involving side loading, however this reduces the working load limit - During use, assure that the pin is not allowed to rotate, as this may open the shackle - When picking and placing a load, tighten pin prior to each lift - Do not exceed rated capacity! Low quality lifting products can cause injury and damage. There are many look-a-like Crosby shackles that are often found at lower prices, and are also often advertised to conform to the same safety standards, if at all. Be aware that it may refer to safety ratings in effect decades ago. 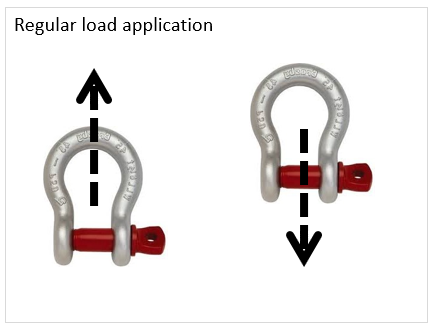 So for example, under the same safety standard a decade ago, a lifting shackle may be rated to 100% without proof load testing while today it may be 300% with proof load testing. 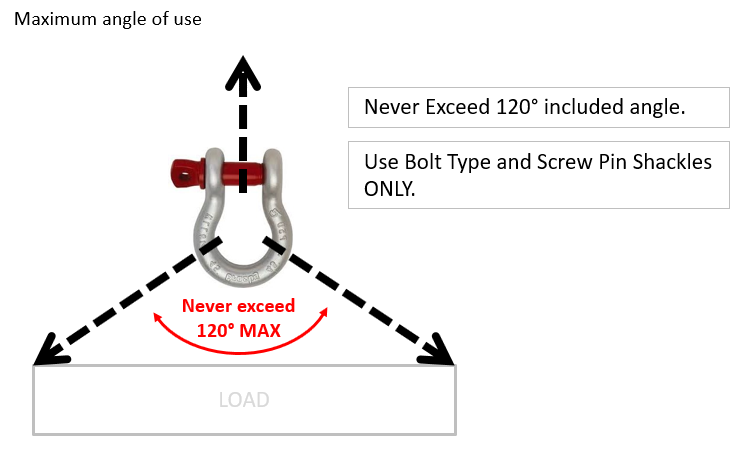 Be assured that we only sell the highest quality lifting shackles and our advertised safety standards conform or exceed to the current ASME standards.